A young family of four on Phillip Island is raffling off their successful cafe so they can travel Australia by caravan. 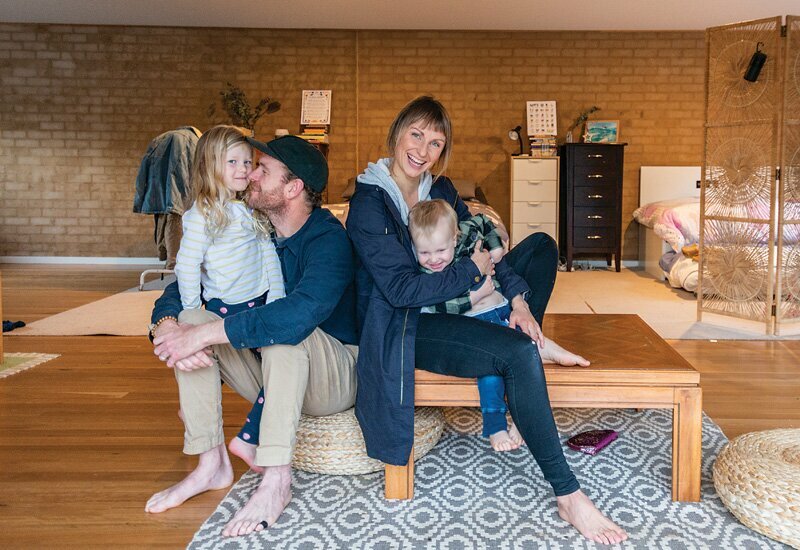 Laura and Matt McNamara, who have two young kids (Frankie, 4 and Myles, 2), established Island Whole Foods back in 2015, but want to make a clean break and embark on a long-term lap of Australia by caravan. 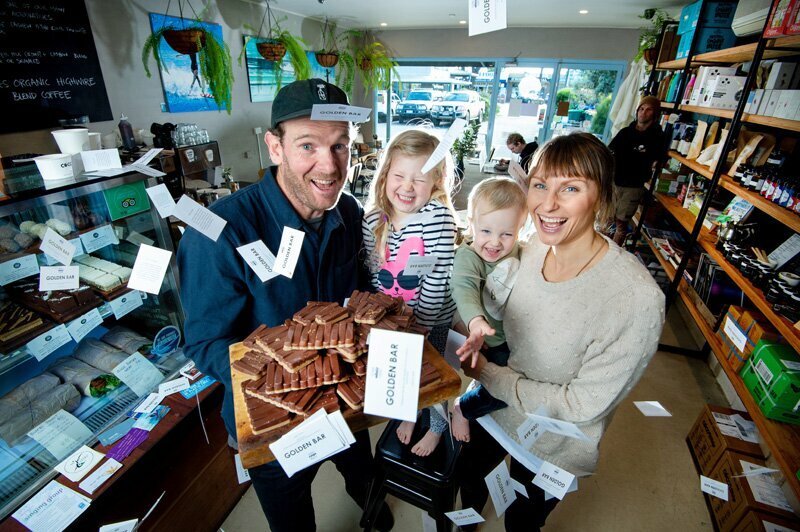 Rather than selling the business, which could be a drawn out and frustrating process, Laura and Matt have decided to give it away in a raffle – just by buying a $15 chocolate bar (which is dusted with 24 carat gold!) you go into the draw to win the cafe and $10,000 cash (you can enter online, too). I caught up with Laura to find out why they’d give up their cafe to travel Australia. Why is the lure of caravan travel around Australia so great that you’re willing to give away your business to do it? Laura: The biggest reason is our two little ones. They are two and four and we just feel at this time of our lives, our focus wants to be on us as a family and spending as much quality time and creating those memories, and having Dad around. I think why we want to do it in a caravan around Australia is because our story over the last two years has kind of led us to a minimalistic lifestyle. We’ve lived in a studio so we sold our three-bedroom house and all our possessions and that was kind of the real trigger, after having to pay off some debts from another business my husband had, and so we just like the idea of the freedom on the road and exploring. We’re both surfers, we grew up in country towns, my step-dad was a park ranger, so a lot of my upbringing was going on hikes in nature and exploring Australia, and I really wanted to pass that onto the kids. They’re all the memories that stuck out in my head, being out in nature and exploring everything. So why raffle the business off instead of just selling it? Laura: There is kind of three reasons. The idea actually came from a friend and it provided a lot more than just selling a cafe. It meant that we had an end-date to the cafe and a start-date to our next chapter of our journey, so that was definite. Also, this way the first business I’ve started, and with a nine-month in tow, it was hard work. The amount of time and energy getting it started and set-up, to opening the doors and learning the ropes, kind-of over the last two years, and so was the idea that we might be able to change someones life and give them the chance to live out their dream, without having to go through setting it all up and the financial strain that provides. The cafe has also changed our lives. We’ve turned vegan as a result, and after taking the cafe plastic free and in doing that it’s really challenged to look at our waste situation, so we wanted to give someone that opportunity without forking out a lot of money. And once we’d decided to do this, it was a way we could raise funds for charities that have helped our journey. So local charities, plastic free Phillip Island and Boomerang Bags Phillip Island – they’ve helped our journey by showing the real impact single use plastics is having, and then take3forthesea -we would love to work with them on our journey around Australia, so getting to partner up with them, sharing a message that we can all make some small changes to make a difference. Have you got a caravan already, do you know what you’ll be travelling in? We love what ZoneRV do and its innovative, futuristic ideas with caravan design and development. But with our financial situation, it is completely dependent on the end result of this raffle We’re in a position where that is what we’d love to do, but if we can’t afford it, then a second hand caravan, or we might even look at a van that we can renovate. I don’t know, there are so many options and possibilities for us. We’ve literally put everything on the line to do this and we’re just nervous and excited about what our future’s going to hold. 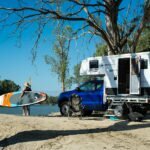 After already simplifying your life to this point, what are you looking forward to if you can simplify things further and travel Australia in a caravan? Laura: We are really looking forward to really getting rid of anything that hasn’t served a purpose in the last few years of our lives. We still have a storage shed and these were things that we held onto that we thought would be useful down the track when we get a house. But now we’re in the position where we know that whatever’s in the caravan is all we’ve got. We’ve also created this concept of us as the Avocado Tribe, where we’ll be travelling Australia sharing our plant-based recipes, our zero-waste challenges, our minimalistic lifestyle, so we wanted to really use the caravan as a sort of show-room of all the products and brand we love (not that we’re partnered up with anyone or anything like that), it’s just that there’s so many ethical and organic sustainable brands that we wanted nothing to be disposable plastic in that van. So that’s going to be our challenge. We also follow a lot of families who are travelling Australia and it’s so cool to find out about their tips on energy usage and solar and how to do the washing and all of that, and I guess what we’ve found is that we’d really love to take that a step further and find out how we can make an impact as a result, even finding out if we can offset our carbon usage is by planting trees along the way, or something like that. As surfers, I expect you’re looking forward to chasing the swell around the southern coastline – what other destinations are you looking forward to? Laura – We’ve looked to stay in Victoria for February and March, which is the best time to surf and then head to the west coast. There are just some incredible beaches. In April May, we’ll go to South AUstralia for the Yorke Peninsula and the remote coastline along the Eyre Peninsula and through places like Cactus. Neither of us have been to WA and it just looks incredible, so we’ll hopefully be there for June and July. But with both of our interests, we love the Indigenous stories and culture and even the food and medicinal properties of the food, so we’d love to explore some communities and see what we can give to them and learn about the ceremonial feasts they do as well. 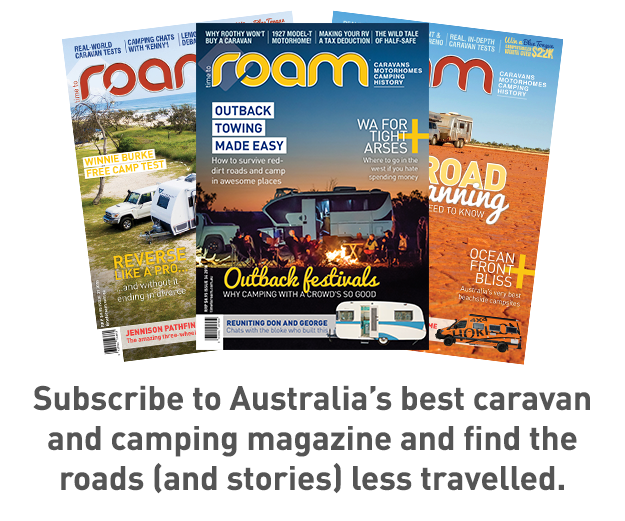 Was it seeing other families travel Australia by caravan that inspired you, or is this a dream you’ve had far longer? Laura: Matt and I, before having kids, always said we’d do a trip, and then I guess businesses got in the way and having kids. And then it was two years ago, a friend said you should check out this family who have been travelling Australia and share their experiences on their Instagram account @tripinavan and I thought, are you kidding, they’re a family of five in a caravan – it’s possible, it can be done and then they were coming past so I reached out and asked if I could shout them coffee and lunch for a chat. It was awesome hearing about their life and how they set it up in a caravan. And our oldest, Frankie, she just can’t wait to get a bunk bed. The competition has only got one more day to enter, but you can do it online. The cafe is rated number 1 by TripAdvisor and the whole prize is valued at $187,000, which includes $10,000 cash for upfront operating expenses. You can find out more about it, or enter here.